Noel Nadesan, reporting from Geneva. The 10th anniversary of the shocking terrorist attack on the twin towers in New York was on September 11th, 2011. The very next day ( September 12th ) I was sitting in a side-event of the Human Rights Council in Geneva listening to the ranting of the American Ambassadress to the United Nations in Geneva, threatening Sri Lanka for the way it ended the terrorist war against the LTTE, terrorist group banned by 32 nations, including USA. During the time she was attacking Sri Lanka a question was running through my mind asking how this American Ambassadress could condemn the ending of the war against terrorism in Sri Lanka when President Obama violated international law by crossing the Pakistan border without the prior consent of Pakistan and killing Osama Bin Laden without giving him a fair trial. I was reminded of cow-boy politics in the Wild West where the heavyweights with guns ride in and make their own laws according to their interests. I suddenly realized that she was dictating terms to Sri Lanka. She was issuing a veiled threat when she said that if Sri Lanka failed to address the alleged violation during the last days of war by their domestic mechanism (LLRC) soon Sri Lanka will have to face the growing pressure from “the international community” to impose an international investigation. Though the Sri Lankan government team was taken aback by the US representative statement, former Attorney General, Mr Mohan Peris replied saying that Sri Lanka had established LLRC and should be given time to address the issue. He also questioned the right of Amnesty International and other international agencies to prejudge the case even before the report of the LLRC was out. China, Pakistan and representative of Cuba have hailed the statement of Sri Lanka and the 17 minutes edited video of “Lies agreed upon” and they reiterated their support for Sri Lanka in future. This Video was a counter to the Channel 4 ‘ Sri Lankan killing field ‘ footage that screened by Amnesty International for member countries during the last June session of UNHRC. 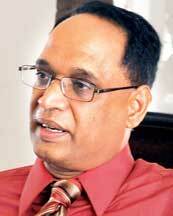 The AI report on Sri Lanka questioned the mandate, the composition and practice of LLRC. The argument of Amnesty International was Sri Lanka not capable of putting its own house in order. II. Sri Lankan team brought Jaffna Government Agent Mrs Imelda Sukumar to explain the resettlement in Jaffna district and law and order situation in the Northern Province. She effectively presented the figures of resettlement and money spent on development in Jaffna. Even the Sri Lankan bogey “Grease Man” emerged in UN session. Imelda Sukumar claimed these were petty criminals and the increase in gold price was because of the scare stories created about the “Grease Man”. However, the crime statistics are well on the way downward. III. Sri Lanka was criticised by many quarters since the end of war may 2009 including Western nations, expatriate Tamils, local Tamil politicians and Tamil media relentlessly. This war was started by LTTE on July 21, 2006 at Mavil Aaru , Eastern province and from March 2008 Tamil civilians were not only prevented from escaping war zone but also forcibly dragged along as a human shield to protect the safety of LTTE leaders and their families. This inevitably caused civilian causalities when the LTTE turned No Fire Zones into fire zones by firing at the Army from behind the cover of civilian people. IV.I. Sri Lanka was also accused of setting up concentration camps in Vanni . I visited the so called concentration camps. Refugee camps are not pretty but what Sri Lankan government had done after the war benefited the Tamil IDPs in many ways. According to Mr Mahinda Samarasinghe , of the 294,00 IDPs all were settled in two years except for 7000 people. I am not only depending on government statistics but also on the evidence of the people in Vanni who also told me that the living conditions were improving daily. III. After thirty years, Emergency Regulations removed. IV. High security zones have been reduced very significantly and many people have been resettled in those area. V. Out of the surrendered 11,900 ex-LTTE combatants only 2753 are still detained and out of them soon 1683 will be released. This is a process comparably quicker than the release of JVP detainees after the ‘71 insurrection. VI. I travelled in Jaffna in July 2009 and found the petrol rice was 70% higher than in Colombo. When I travelled in May 2011 the prices had come down and the difference in the prices in Colombo and Jaffna was not more than a rupee or two. The overall improvements in the living conditions of the people of Jaffna have convinced me that what Sri Lanka need is time and space to return to normalcy, or the good old days which are so dear and memorable to us. I believe Sri Lanka and Sri lankan people need to recover physically and psychologically from the effects of 30 years war, resolve its own problems and reconcile differences. Threatening Sri Lanka with alleged war crime investigation by west will not to speed up the process of reconciliation, especially Tamils who are yearning to pick the threads from they left behind on their way to Nandikadal.